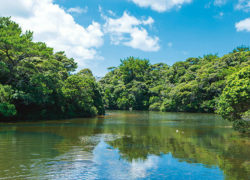 This extensive forest park spreads out at the foot of Mount Yonaha and features a walkway extending for about 3,000 meters, Hentona Lake, an observation deck overlooking the East China Sea and campsites. 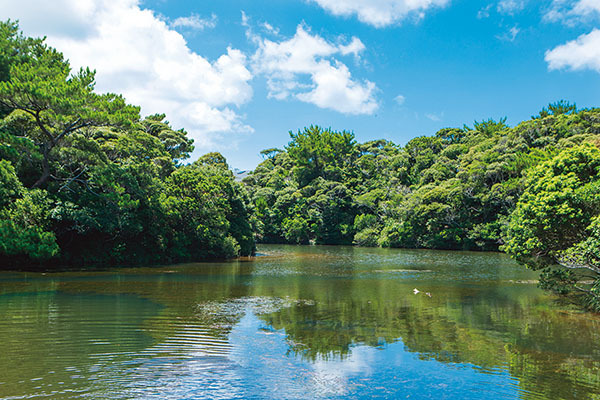 Here visitors can enjoy a dense growth of tree ferns and other unique features of Okinawa's northern forested area. Waking up to the song of birds, you can immerse yourself in the nature of Yanbaru in this tree house (accommodating 3-4 people / ¥ 6,600). BBQ set provided, sleeping bag rental available; no toilet, shower or air conditioning.